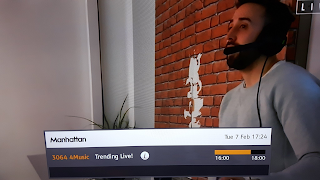 Freeview music channel 4Music has been spotted broadcasting free-to-air on satellite. 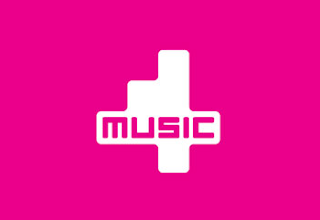 4Music, part of The Box Plus Network, a joint venture between Channel 4 and Bauer Media, has since its launch been encrypted on satellite and thus only available to Sky subscribers, while being free-to-air on terrestrial TV service Freeview. A short-lived glimpse of 4Music on free-to-air satellite occured late last year, but only lasted a few hours. A permanent switch to free-to-air status would pave the way for the channel to be included on free-to-air satellite service Freesat, something a lot of viewers have requested over the years. 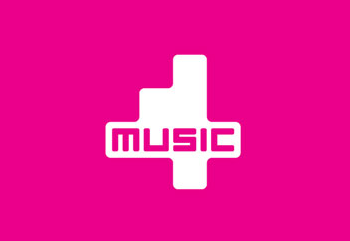 4Music's sister channels, including The Box, went free-to-air on satellite in spring 2013 and were soon added to Freesat after years of being exclusively available via Sky on satellite. 4Music has not commented on whether the free-to-air switch is permanent. The channel occupies capacity on the satellite transponder that also carries a number of free-to-air versions of Channel 4, manual tuning parameters are listed below. 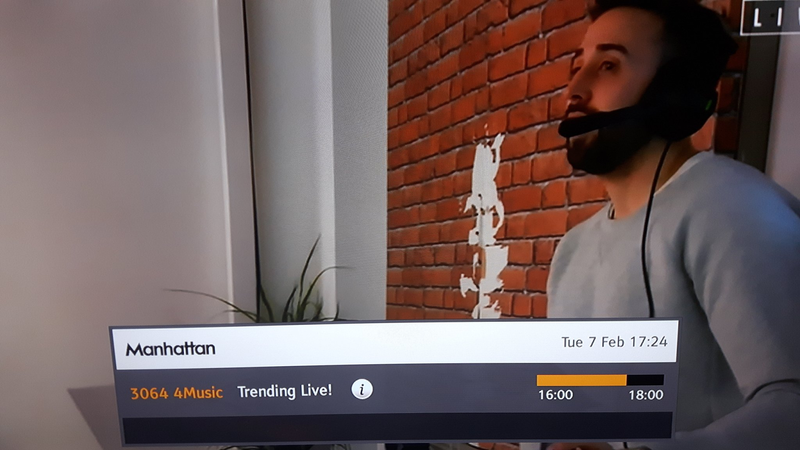 4Music is already available on Freeview channel 18, Sky 362, Virgin Media UK channel 337 and via TVPlayer.com. Parameters/encryption status may change following date of publication.